Visit our Photo Club Website! The Landlovers Photography Club will proudly showcase its members’ best work at its Second Annual Photography Exhibition at the office of Wells Fargo-The Private Bank, 6 Village Walk (across from Four Seasons Travel.) The three day exhibit runs from Wednesday, May 1, through Friday, May 3, with an opening reception on Tuesday, April 30, from 5-6:30pm. Exhibit hours are 10am to 4pm on Wednesday and Thursday and 10am to 2pm on Friday. Come view a variety of perspectives of our island and the world. The mission of the photo club is to help members, ranging from beginners to experts, improve their skills and enjoy photography in a friendly, supportive group, through meetings, field trips and fun photo assignments. Members must join Landlovers, plus pay a $20 photo club membership fee. To join, come to any of the photo club monthly meetings, to be held April 23 and May 7. Meetings are held from 3:45 to 5 p.m. at the Skidaway Island United Methodist Church. Novice, expert or anything in between are welcome to join our fun and supportive group of shutterbugs! 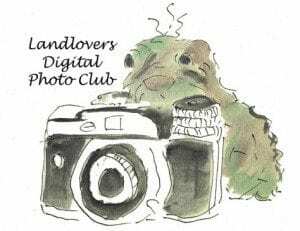 Please contact us at landloversphotoclub@gmail.com or call Michael Siegel at 443.994.9692.